In terms of cryptotourism, there are only a few statues and sculptures that become Meccas for people to journey, to then have their photographs taken in front of. Willow Creek’s redwood Bigfoot is one, the Loch Ness Monster replica in a pond in Scotland is another, the Crookston Bigfoot in Portland, Maine’s International Cryptozoology Museum has become another in the last dozen years. 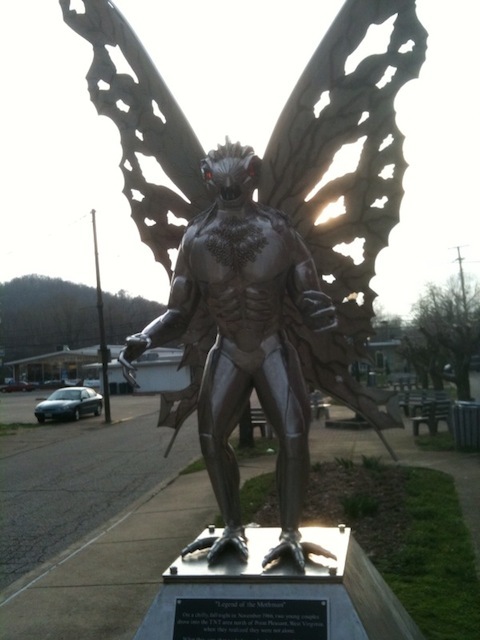 In West Virginia, none other than the Mothman Statue in Point Pleasant has become an international sensation in the last decade. Now comes word that the creator, Bob Roach, 81, has passed away. One of Mason County’s most well known residents and artists died over the weekend. Though not everyone may have known Bob Roach, 81, of Letart, they most certainly knew his work. Roach, who died Aug. 30, was an artisan when it came to stainless steel with his unique pieces known around the world, particularly the famed Mothman statue that sits in Gunn Park in downtown Point Pleasant. Roach’s steel statues also appear in an impressive family of historical figures in Point Pleasant’s Riverfront Park. His sculpture of Jesus Christ also more recently ended up at Heights United Methodist Church on North Main Street in Point Pleasant. Even more of his work appears in his native Bend Area at the New Haven Fire Department and Wahama Junior/Senior High School. Like family members, each piece has characteristics that connect them all in some way, namely to the artist himself. 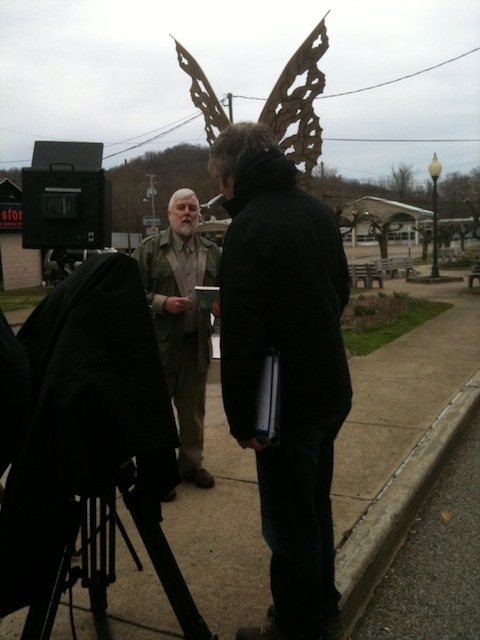 Back in the early 2000’s, Charles Humphreys of Main Street Point Pleasant had the idea for the Mothman statue. Humphreys said a lot of research went into figuring out just what Mothman might look like, with Roach very much a part of that process and then it became about his talent taking over. “He could do about anything, especially with metal and built that with stainless steel … it’ll be here a thousand years unless someone throws it in the river and even then it’ll still be here another thousand years down there,” Humphreys said about the statue and how it was meant to last. This partnership with Humphreys led to Roach sculpting the historical figures at Riverfront Park, including Chief Cornstalk, Col. Lewis, Daniel Boone, Mad Anne Bailey and Lord Dunmore, all of which are connected to the history of not only Point Pleasant, but Mason County and the Ohio Valley. Back in 2013, the Mason County Commission recognized the work of Roach at a county commission meeting. County Commission President Rick Handley said he had visited with Roach about a month ago and though Roach had been battling some health issues, he seemed in good spirits. Humphreys said when Roach was alive, he seemed “definitely surprised” by the reception his Mothman statue received around the globe. “Neither of us thought it would grow into what it is, but I knew it would make a difference in Point Pleasant. I knew people would come to see it,” Humphreys said. And come to see it, they have. On any given day, no matter the temperature or weather conditions, someone is taking a photo with Point Pleasant’s most infamous resident. 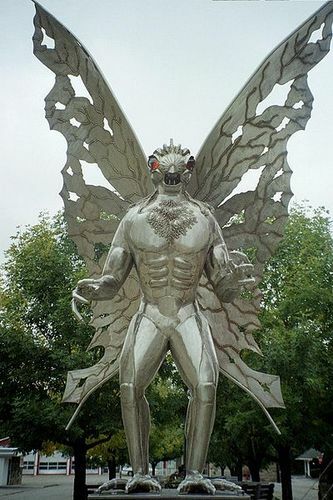 In fact, the Mothman Museum recently put up the “Mothcam” allowing people from all over the world to see the statue and those who visit. 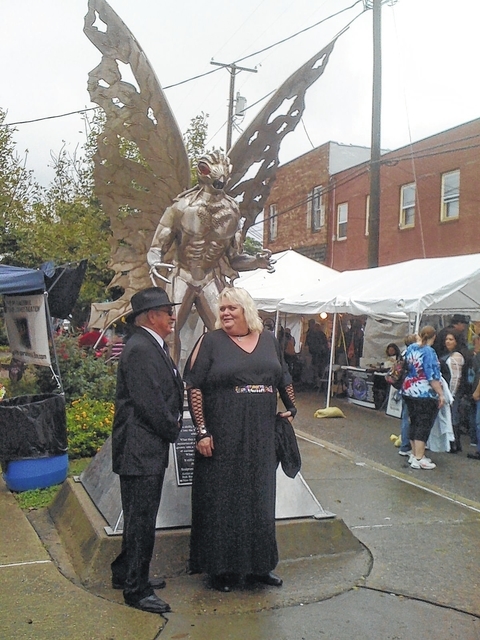 This month, the Mothman statute will be ground zero for what has become its own phenomena — the Mothman Festival on Sept. 19-20. The festival attracts around 5,000 people from across the globe, all of them wanting their photo with Roach’s creation. “My biggest thing I want to say about Bob Roach is, Mason County and Point Pleasant should be very thankful that we had him at the right time,” Humphreys said. Source.